We could not hold the Wine Tourism Conference without the support of our sponsors, below. If you wish to sponsor the conference, please first view this PDF of Sponsorship Opportunties and then register on our secure form. For more information contact Reno Walsh at 406-580-5919 or reno@ZephyrAdventures.com. Wine Institute is the association of more than 1,000 California wineries and wine-related businesses that initiate and advocate state, federal and international public policy to enhance environment for the responsible production, consumption and enjoyment of wine. The organization also works to enhance the economic and environmental health of its communities, home state and the nation through leadership in sustainable winegrowing, an international marketing program to promote California wine exports and a partnership with California Travel and Tourism to showcase the state’s wine and food offerings. Wine Institute is supporting the Wine Tourism Conference by helping with conference content and outreach. Legendary Napa Valley is the website of the Napa Valley Destination Council, a non-profit organization supported by more than 1,400 visitor-serving businesses in Napa County and designed to promote Napa Valley’s position as North America’s legendary wine, food, arts and wellness destination. 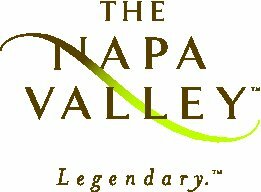 Legendary Napa Valley is supporting the Wine Tourism Conference by sponsoring the Wednesday Welcome Dinner. Napa Valley Vintners is the non-profit trade association responsible for promoting and protecting the Napa Valley appellation as the premier winegrowing region. From seven founding members in 1944, today the association represents nearly 400 Napa Valley wineries and collectively is a leader in the world-wide wine industry. 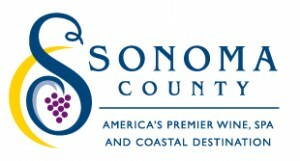 The Sonoma County Tourism Bureau promotes Sonoma County as America’s premier wine, spa and coastal destinations. Conference participants will have the opportunity to visit some of Sonoma County’s top wine tourism sites on Friday after the conference. Sonoma County Vintners is a non-profit organization committed to promoting the wines and wineries of Sonoma County. Since 1946, the association has focused on building awareness of its diverse appellations and the resulting distinctive wines. With more than 170 members ranging in size from small, family-owned wineries to large-volume corporations, Sonoma County Vintners comes together to educate, invite and entertain the public with its industry, region and lifestyle. The Sonoma County Winegrape Commission was established in 2006 as a non-profit marketing and educational organization dedicated to the promotion and preservation of Sonoma County as one of the world’s premier grape growing regions. With more than 1,800 growers, SCWC’s goal is to increase awareness and recognition of the quality and diversity of Sonoma County’s grapes and wines. The Wine Bloggers Conference is an annual gathering of 300 wine bloggers and other wine industry members from throughout North America. 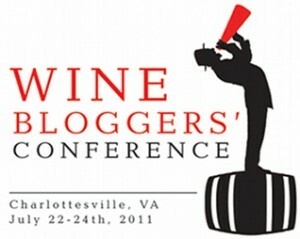 Now in its fourth year, the 2011 conference will be held July 22-24 in Charlottesville, Virginia. Zephyr Adventures, co-organizer of the Wine Tourism Conference, is the primary organizer of the Wine Bloggers Conference. 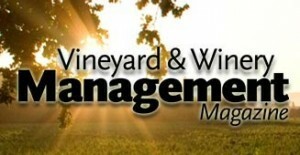 Vineyard & Winery Management is a leading trade publication serving the North American Wine Industry designed specifically for today’s serious wine business professional. An industry standard for over three decades, this trusted independent trade publication has a subscriber base of over 6,500 dedicated readers. In fact, recent circulation numbers indicate 75% of readers are wine business owners, presidents, and company CEOs. For the past 17 years, the mission of Touring & Tasting Marketing and Media has been promoting tourism to the wine regions of North America. Their award-winning national publication Touring & Tasting has earned the reputation as “The Definitive Guide to Wine Country” – providing an indispensable resource for anyone interested in traveling to wine country and the wine country lifestyle. Touring & Tasting works closely with tourism entities, vintners associations, wineries, tasting rooms and accommodations throughout the country. Bryan Potter Design provides design solutions and project coordination for a diverse and ambitious group of mostly non-profit and non-corporate clients in the areas of sustainability, environmental action, arts and culture, and public advocacy. Its success as a small business is built on long-term relations, diverse creative strategies, and the highest degree of reliability, flexibility, and integrity. Wines of South Africa is a not-for-profit industry organization which promotes the exports of all South African wine in key international markets. It represents over 500 exporters of South African wine. Traditional markets include the United Kingdom, Germany, Sweden and the Netherlands with increasing exports to the United States, Canada, Russia, and Asia. Le Boat is the number one European self-drive boating company. The company allows travelers to Europe to rent their own boats for self-cruise holidays on the waterways of France, Germany, Italy, and other countries. Le Boat has special Gastronomy itineraries featuring the food and wine of local regions. Lake County Winery Association represents the wineries of Lake County, an award-winning yet relatively undiscovered wine region located just two hours from the San Francisco Bay area. It surrounds Clear Lake, California’s largest natural freshwater lake, and sits at the foot of Mt. Konocti, a dormant, multiple volcano. It is the combination of the high elevation; rugged lands; gentle sloping hillsides; the expansive fertile valley floor; and the spectacular lakeshore that provide the origin of Lake County’s highly acclaimed wines.